Reading Florence Meichel's blog, I discovered a very useful Icons Pack. This Pack, with more than 100 icons contains icons from various categories : art, business, emoticons, technology.... 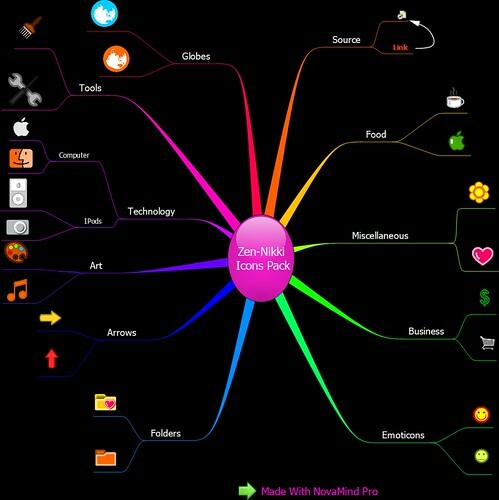 I used NovaMind to mindmap this Icons Pack. Click here to download the pack. This is exactly what I was looking for - a relatively small collection of usable images for mindmapping. Thanks!